You’re a business owner who’s very good at what you do. Part of what makes you a good business owner is that you’re naturally a curious person. You don’t take unnecessary risks, especially when it comes to your business. You’re way too smart for that. 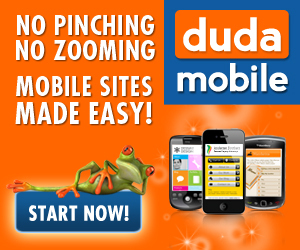 One thing you’ve become recently curious about is building a mobile website using a free mobile website creator. Good thing you’ve found this article. By reading it, you’ll learn where to find free mobile website creators and how to use them effectively. It’s now time to satisfy your curiosity! Is your San Francisco salon one of the 70% of businesses that doesn’t have a mobile website? If you thought your old standard website was good enough, think again. 97% of websites will not properly render on a smart phone or other mobile device – this is bad news for salon and spa owners who are not embracing mobile marketing.